The influence of ice sheets and glaciers on various aspects of the Earth System, including: sea level, land motion, landscape evolution, gravity field, Earth rotation. Dr Milne applies computer models to study interactions between ice sheets, the solid Earth and the oceans. 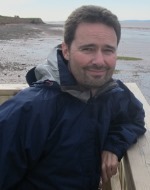 A primary focus of Dr Milne’s research is geophysical modelling of sea-level changes caused by climate change.